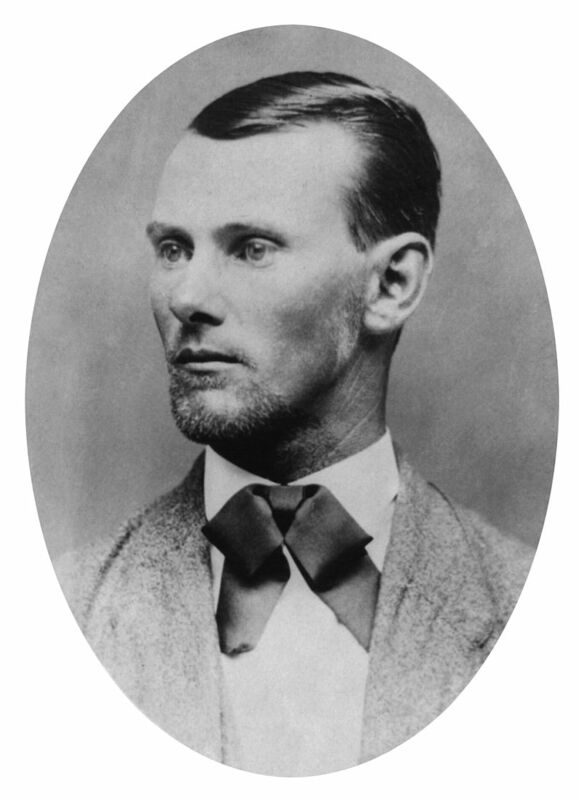 Like his older brother Frank, Jesse James joined a Confederate guerrilla gang during the Civil War. After the war, he teamed up with Frank as co-chief of what became the most notorious outlaw gang in the American West. During its long criminal career, the James Gang chiefly robbed banks, stagecoaches, and railroads, gaining a reputation as latter-day Robin Hoods— even though, after robbing the rich, they by no means gave to the poor. The gang’s career ended when Jesse, living incognito in St. Joseph, Missouri, as “Thomas Howard,” was shot in the back of the head by a new gang member, Robert Ford, who betrayed him for the reward money. Ford was publicly castigated, whereas Jesse (and, to a lesser extent, Frank) was elevated to the pantheon of American folk heroes.